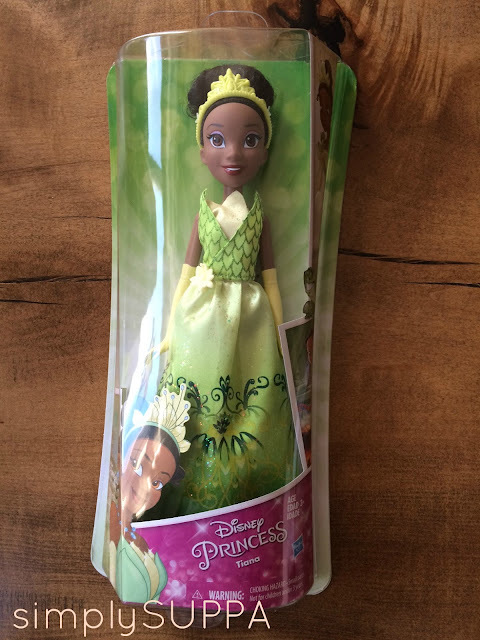 This month's Hasbro Disney Princess is Princess Tiana from The Princess and the Frog. For those who don't know the story of Princess Tiana, here's the short version -- this New Orleans beauty has a childhood dream to open a restaurant. 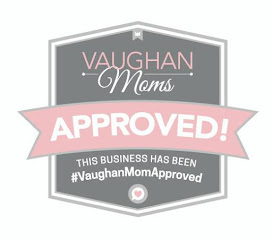 She works very hard and is ambitious, intelligent and resourceful. Along the way, her plans get sidetracked by a Prince (disguised as a frog) who teaches her about love and having fun. Through her journey, she realizes the possibility of her dream and makes it happen. How does she become a Princess? She falls in love with the frog prince, duh! And together, they make sure her dream becomes a reality -- Princess or not. Tiana is a modern-day princess. 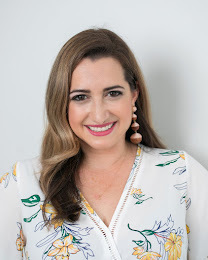 She's confident and eager, bright and hard working. The Tiana Princess doll is all that and more. She's beautiful and comes in her signature pale green down, long yellow gloves and tiara. Also part of the Hasbro Disney collection (and one of Isabelle's faves) is the Little Kingdom collection -- and Tiana has a set, too. 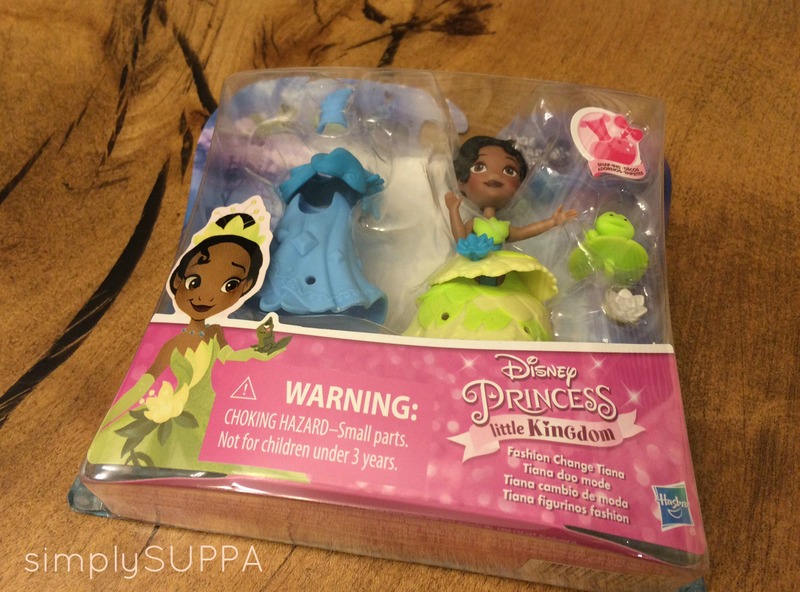 The Little Kingdom Tiana comes in her green gown, but she can also change into blue, and this set also comes with a mini Prince Naveen (as a frog!). A reminder to moms and dads, the Little Kingdom collection is great for kids 3+ because the pieces are quite small. Maddie has a great time playing with the tall princesses, though -- we just remove the shoes! 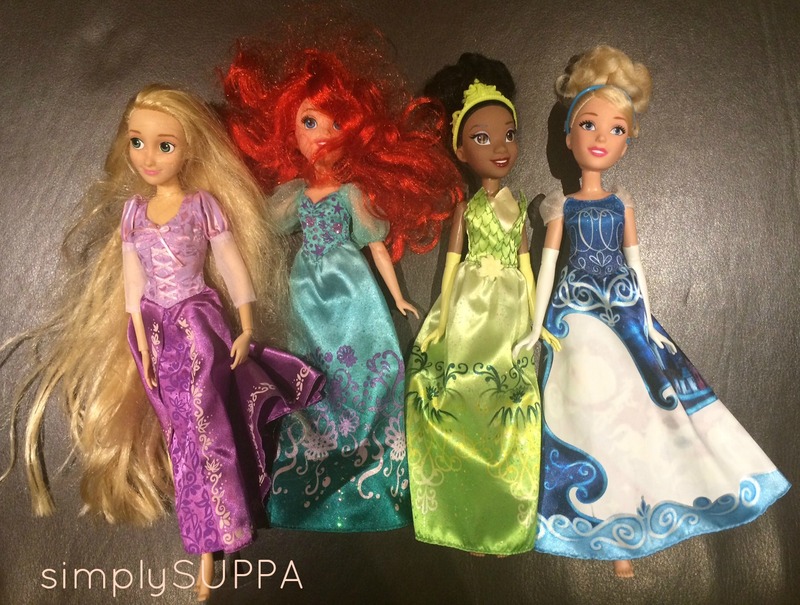 As always, Simply Suppa wants to give YOU a chance to win a Disney Princess Prize Pack. 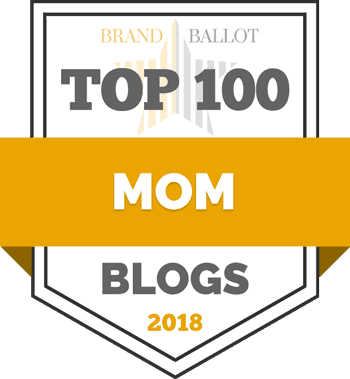 This month, it's all about TIANA! Enter below for your chance to take home this Ambitious Princess.